Val Mickool was born and educated in England and worked as a secretary in London until she immigrated to the United States. Val soon met and married fashion illustrator Robert Mickool and had three children, Lauren, David and Andrew. Bob & Val moved from New York City to Rowayton, CT, where they raised their young family. Once the children were grown, Val returned to work in the retail industry. Her first job was with Cuthbertson Imports and then Talbots before joining FABB 14 years ago. 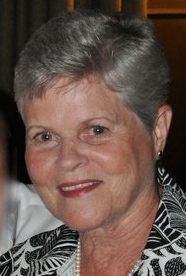 Val enjoys sports, traveling in Europe and spending time with her friends, family and especially her six grandchildren.